At Roar VBS 2019 Kids will discover that God is good through all of life’s challenges. Life is wild for kids—full of ups and downs and twists and turns. It can often feel chaotic and out of control. At Roar kids experience the solid foundation of God’s goodness—something they can stand on, cling to, hold, and remember when the wild side of life doesn’t feel so fun or adventurous. Kids will deepen their friendship with a mighty, loving, and good, good God who empowers them to boldly face life’s challenges. Kids will discover important truths in fresh, new ways—and dig right into the Bible. 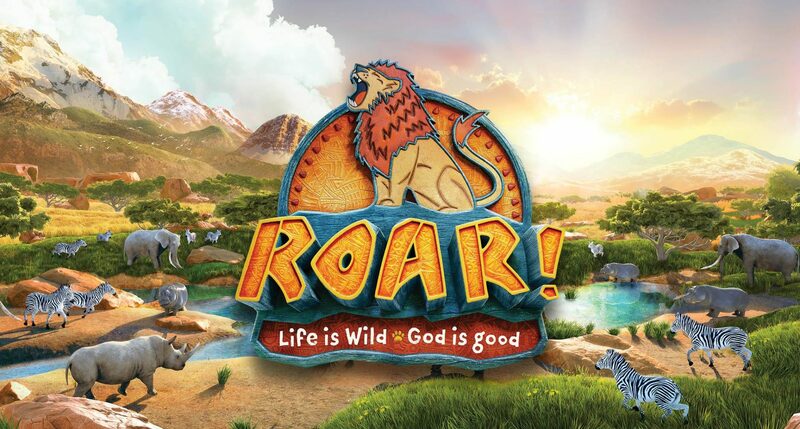 At Roar VBS, kids learn one important Bible Point each day, and it’s reinforced often through Bible adventures, key Bible verses, songs, snacks, and hands-on explorations that help children know that God is always, always good! Here is a a quick look at last year's VBS.